From three similar larvae I collected in late May, two have pupated and one appears on the verge of pupating due to its lack of mobility. Of those that pupated, one has emerged, revealing itself to be Lucidota atra. I am guessing the others are of the same species, but will remove this photo if I turn out to be wrong. 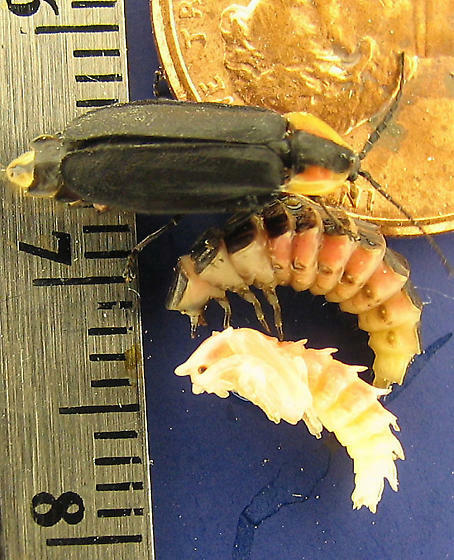 The larva luminesced when jostled (see adjoining photo).